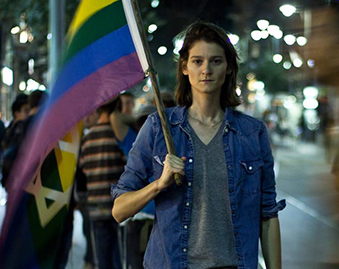 A Wider Bridge Impact, the crowdfunding initiative supporting Israeli LGBT community projects, seeks to raise $5,000 in 2017 to support The Meeting Place. 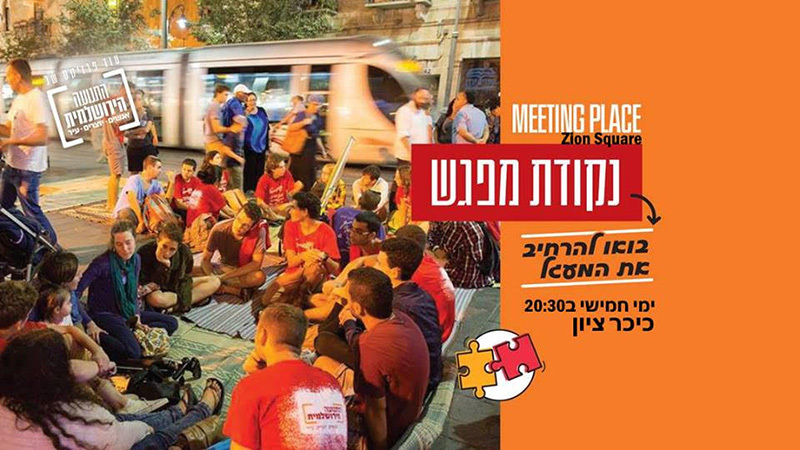 The Meeting Place brings people together from all sectors of civil society – LGBTQ and straight, religious and secular, Jewish, Muslim and Christian – in Zion Square, in the heart of Jerusalem. The project promotes much needed constructive engagement between residents of Jerusalem, where people work through challenging and often painful issues, and build bridges of communication for a shared pluralistic society. 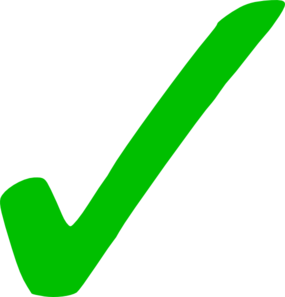 To donate, or to learn more about the project, visit awiderbridge.org/impact. 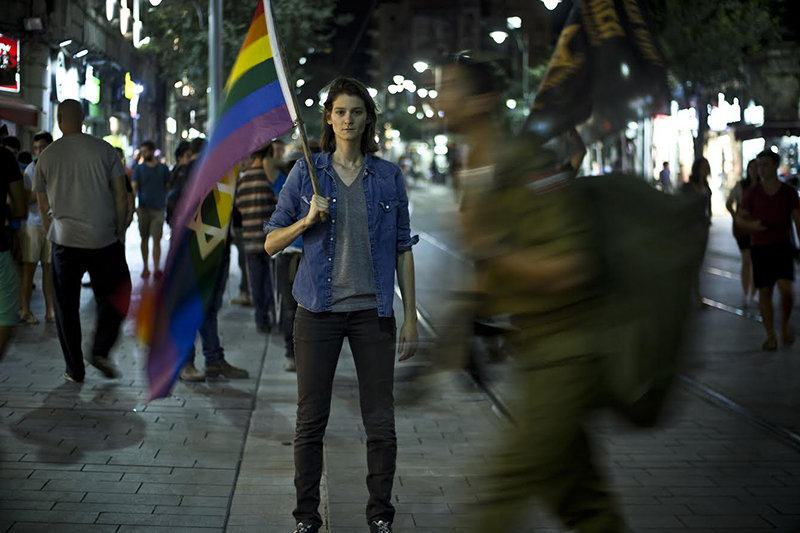 Through mourning the loss of 16-year old Shira Banki, fatally attacked at the 2015 Jerusalem Pride March, the city’s LGBTQ community emerged as a thread to bring together a city divided at the seams. 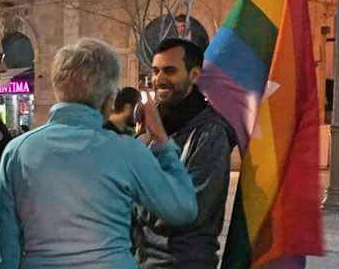 LGBTQ leaders took to Zion Square, the central plaza in the heart of Jerusalem, to hold open forums for unprecedented public discussion at the “Meeting Place.” All sectors of Jerusalem civil society, most notably the Ultra-orthodox population, gathered together in dialogue circles and heated encounters, many of which resulted in the opening of hearts and minds. LGBTQ activist Sarah Weil and Jerusalem City Councilman and Orthodox Rabbi Aaron Leibowitz join A Wider Bridge in Boston, New York, Los Angeles, San Francisco, and San Diego to share the work of the Yerushalmit Movement, which fosters Jerusalem to be a “community of communities”, a pluralistic society that benefits all of its residents. Join us as we learn how the tragedy of Shira’s death became a catalyst to bring people from different backgrounds together to engage in “radical empathy,” offering an open, “brave” space for all people to discuss difficult and painful issues. Given the polarized and rancorous state of so much of our current political discourse here in the U.S., Rabbi Aaron and Sarah can teach us not only about Jerusalem, but offer us possibilities for how we might engage more constructively with each other here at home. The Yerushalmit Movement is building a vibrant, inclusive, civil society in Jerusalem, a “Community of Communities” that empowers residents of diverse backgrounds to find common ground and work together to develop grassroots initiatives to effectively address economic, social and cultural gaps. Since 2009, The Yerushalmit Movement has been empowering social activists and fostering pluralism in numerous neighborhoods throughout Jerusalem with the aim of strengthening the City’s human capital, improving quality of life and preventing negative migration. We encourage the growth of new local leadership and promote pluralism, especially in the Public Space. Through our grassroots approach we are empowering the City’s residents to become their own agents of change, reinforcing messages of shared society, community building and collective impact. We work to empower the growth of Jerusalem as a vibrant, pluralist and inclusive city that reflects the unique variety of its citizens and will begin to bring this successful and vital model of shared society to impact Israeli society on a national level.